IF...you follow one EXTREMELY important rule! Never, ever take any one of your supplements more often than once every 7 days! We call this technique Cycling, and every single man who's had success using our system has become fanatical about doing it. If you're a regular around here, you're probably asking yourself, why are we talking about cycling again? Because for some strange reason, new visitors to the site aren't getting the concept. Can I do a cycle using just Tongkat Ali and Tribulus every other day? I've been using Macuna Pruriens on Mon, Wed and Fridays, but it stopped working, what should I do? Of course, there's only one person to blame for this, and that's me, because I wrote all the content on the site. On this page, I intend to remedy this situation! So all you old timers, bear with me, as I break things down once again for some of the newer players around here. So why exactly do you need to cycle? Because if you fail to do so, your body will quickly build up a tolerance to your supplements, and they will stop working entirely. Think back to that time when you bought your first herbal testosterone booster. Chances are, you took your first dose and felt great on that very first day! Looking to follow up on the buzz, you took it again on day 2, only to discover that something had been lost. That initial boost you felt on day one had almost completely disappeared. If you're like most men, you probably doubled or tripled up on the dose on day 3, only to be deeply disappointed, because this time around, you felt absolutely nothing! 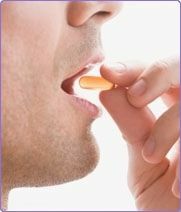 What's happened is, your body developed a tolerance to the supplement. And once this tolerance develops, it doesn't matter how much of the product you take. As a matter of fact, you could down 10 bottles of the stuff, and it wouldn't do you one bit of good. And the only way to get that supplement to work again, is to put it away for at least 2 months, to give your body time to forget about it. Fortunately, we've developed a simple, yet highly effective solution to this tolerance problem. 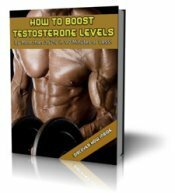 To make it work, simply purchase 7 herbal testosterone boosters, and cycle them regularly, taking each product once every 7 days. Do this, and your supplements will perform for you, each and every time you take them.